AIA Insurance held a Health Camp in Nuwara Eliya recently as part of an effort to promote health and wellness in the community. The camp was conducted at a public school and was open to the students, their parents, teachers and the community, providing them with health assessments and access to important information regarding health and wellness. Medical testing, onsite doctor consultations and virtual consultations with specialists were operationalised, in addition to a session on ‘healthy living for kids’ by a specialist doctor. AIA’s team also handed out apples and oranges to the students, so as to encourage a healthy diet. 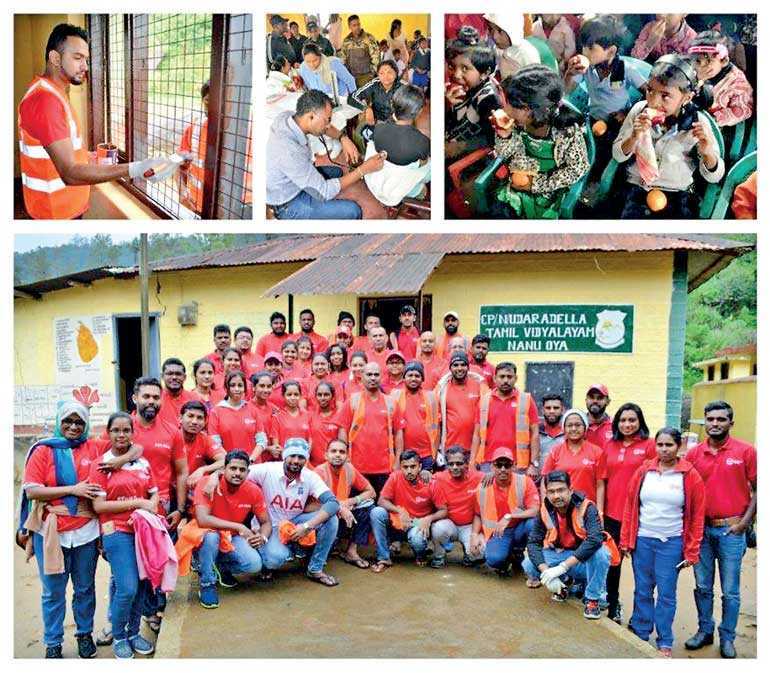 In addition to the Health Camp, over 50 of AIA’s employees from Colombo and other regions colour-washed two of the school’s buildings which had depleted over time, so that the students had a clean and conducive learning environment, which is a key part of healthy living. The labour and effort put by AIA’s staff into adding a new coat of paint is reflective of their commitment to making a positive difference to the lives of the school’s 160 students. Notably, AIA’s CSR initiatives are intended at bringing together AIA’s staff in fulfilling AIA’s mission to help the communities we serve live longer, healthier, better lives.